Magical villa with fabulous views directly on to golf course. Close to Disney. 4 bedrooms, 3 bathrooms, private swimming pool and spa, sleeps 8. Set in tranquil cul de sac with spectacular views, our villa is sumptuously furnished throughout and recently renovated. Ideal for the group or family who like peace with plenty of pool and outdoor dining space around them. Our villa is centrally air-conditioned and can be heated in winter if needed. Likewise the pool and spa can be heated (not necessary in the summer months). 4 further TVs, in bedrooms. You are welcome to smoke outside the villa under the covered terrace or poolside but we do ask you to keep the interior of the villa smoke free for the consideration of other guests. It was an amazing experience our first family vacation. House was clean. Pool was clean. Everything was near by. We deffinetly enjoyed our stay at your beautiful villa. Might make it a yearly stay. Thanks for allowing us to stay at your villa. A wonderful, comfortable home. Location was great. Would definitely stay here again. Asked the homeowner a couple of questions prior to stay and they were prompt with reply. This home was definitely a home away from home. It exceeded our expectations and I would highly recommend it. Thanks for making our vacation amazing. We spent three full weeks at the villa. We simply hated to leave. Everything you need for your dream vacation is provided. The villa itself is very spacious and was immaculately clean upon arrival. The private pool and hot tub were put to use on a daily basis. Shopping and restaurants are five minute drive away. We highly recommend this facility. Thank you so much for making our vacation the ultimate. Discover Highlands Reserve Golf & Country Club and this luxurious villa located just 12 miles from Disney World, Florida. 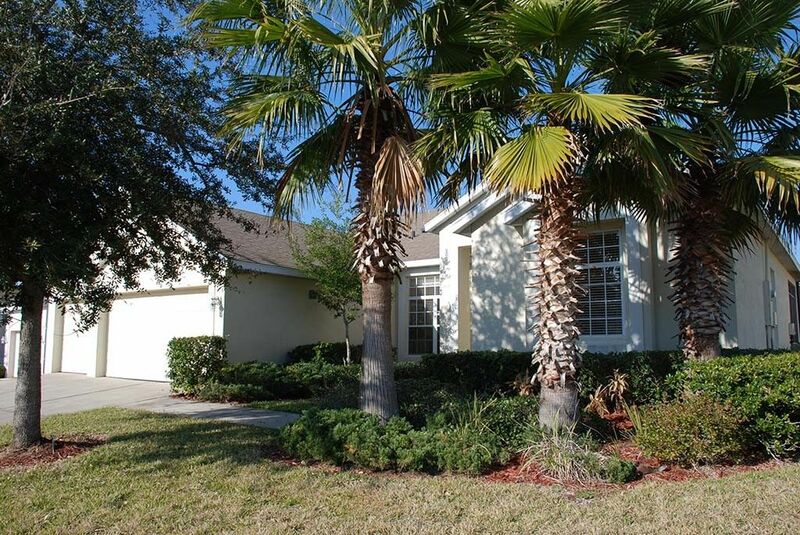 A short drive from Orlando airport and less than one hour from the Atlantic or Gulf coast beaches, this villa is perfectly placed to enjoy the very best of all that central Florida has on offer - from the frantic thrill of the major theme parks to the unhurried ambiance of coastal culture. The spacious and luxuriously equipped 4 bed, 3 bath villa with private pool, sits seamlessly onto the golf course with expansive views over the the pine tree lined fairways, and citrus tree back drop. Truly, a setting of natural peace for yourself, family and friends. Your rental is charged at the rate of £105 per night plus a 'one off' cleaning fee of £105 per stay, (£210 for the first night and £105 per night thereafter). Rates include US Federal & Florida State Taxes (12%). Pool heating is an option available on request (recommended Oct-Apr) at an additional charge of £20 per day.